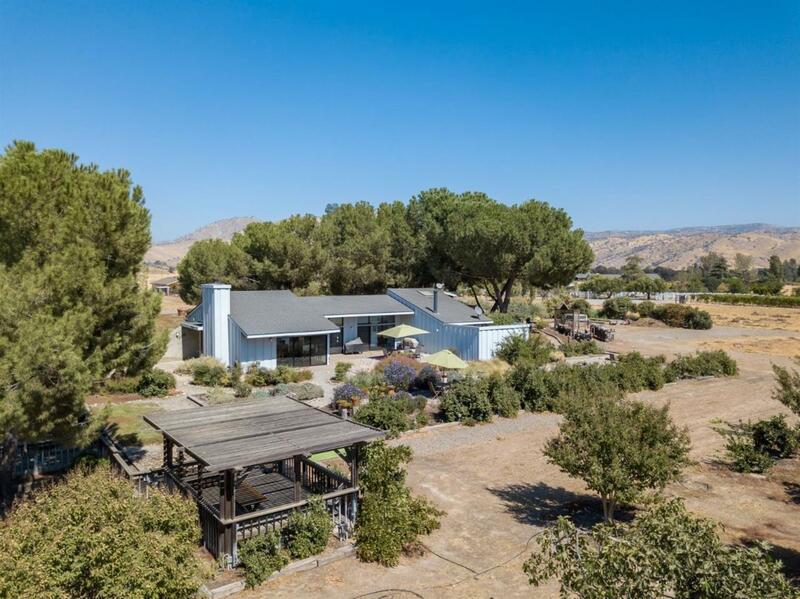 Incredible opportunity to own this 1 owner custom built earth sheltered home on 4.8 acres with separate studio/workshop that has bathroom, bedroom and loft. This home has a mid-century look with a lot of floor to ceiling windows and doors that offers natural light. The master suite has a large bathroom, comfy loft, and private patio to the beautiful outdoor oasis. Several outdoor unique spots to enjoy the beautiful views and wildlife. This home is an all-electric home and has owned solar. It also has a backup generator with dedicated propane tank. Kitchen has been remodeled with quartz counter tops, 2 ovens, ample breakfast bar and a separate butlers pantry. Custom floors, wood vaulted ceilings, two free standing wood stoves, remodeled bathrooms, 2 car garage, 2 septic tanks, 2 wells, newer roof, and much more. This is truly a must see to appreciate all that it has to offer. Make your appointment today. Total bedroom & Bathroom count includes studio.